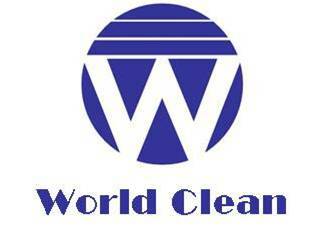 At World Clean, we provide with only the best cleaning service for any occasion. We understand that certain one-time events undertake a tremendous amount of cleaning when it’s done. Specialised in many techniques, we provide workers equipped with the neccessary equipment to get the job done. Need a hand to clean up while moving to a new home? Our cleaners are ready to help at your request! We put the icing on the cake by cleaning up your newly renovated home. The worst part about a party is the cleaning up when everybody leaves. Be prepared with our cleaning services! Does your home need some cleaning? Don’t wear yourself out but cleaning everything by yourself! Start afresh with a clean and dust-free home. Our experienced and helpful cleaners are able to provide your new home with a thorough cleaning. We aim to provide you with quality services to create a hygienic and comfortable environment. Contact us now to receive a quote for your new home! Renovations generate huge amounts of dust and debris. Even though your newly renovated home looks amazing, it will not be an enjoyable living experience if your household items are coated in a layer of dust. Our well trained cleaners are equipped with advanced technology and solutions to take utmost care of your house while keeping it spick and span. Contact us now to get a quote! Just had an event that left your place in a mess? Fret not, our cleaning teams deployed to your property will ensure that it is returned to a presentable state once again, ready for the next event. Contact us now to get a quote! Festive seasons such as the New Year are a massive undertaking for homeowners. Spring cleaning is not a simple task and many people shy away from this task. Our cleaning team can assist you in your clean up to get you in the festive mood instantly. Spring cleaning in your home is necessary to host specific events or when the festive season arrives. It can also be a routine that keeps your home in a clean state always. However, this can be a strenuous task to undertake. Our cleaning team can assist you in making this feat a reality while you focus on other important tasks. Contact us now to get a quote on your next spring cleaning session!